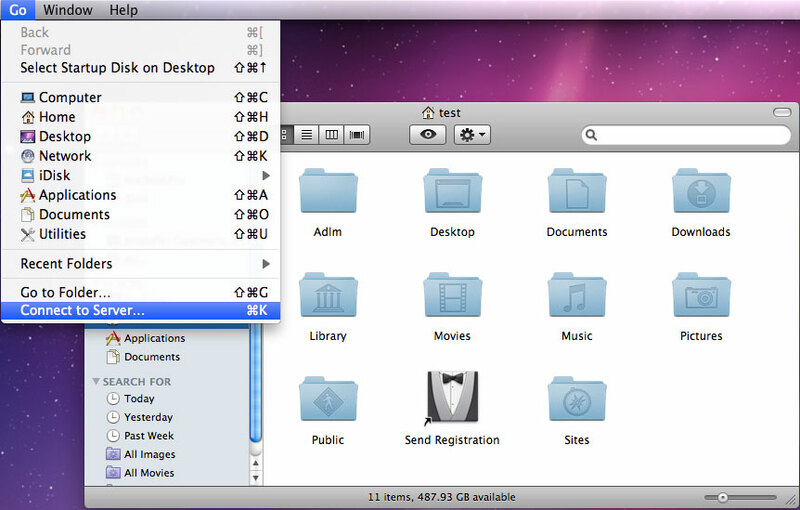 Click Finder from the Dock on your screen. You can press the plus (+) button beside the Server Address to remember the connection so it does not need to be typed each time you need to map the drive. 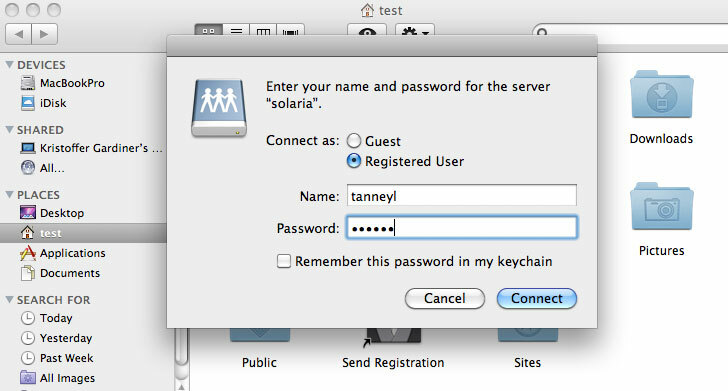 In the Enter your name and password for the server "solaria" (or "trantor") pick Registered User.. 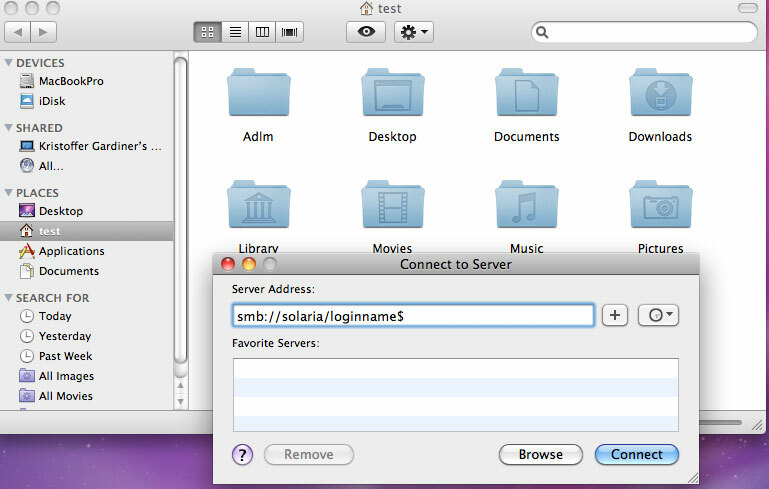 Type the CAD Lab account password in the password box. You can also Check the Remember this password in my keychain check box.